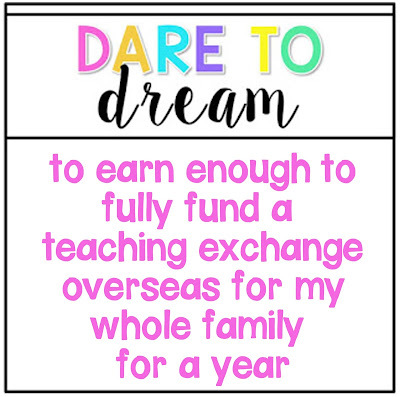 This week at the TPT Sellers Challenge, we are encouraged to write about our TPT hopes and dreams. When I started on Teachers Pay Teachers, four years ago, I really had no idea what I was getting into. I was seriously into my card making hobby. I have a papercrafting blog which I was posting to on a regular basis, and was just stepping down as a Stampin' Up! demonstrator. I have been blogging since 2008, so I had a good idea of what was involved in blogging, and I had a basic understanding of photoshop, from my digital scrapbooking experience so I decided to try my hand at creating products for sale. My first product, which I redid for last week's challenge, was a big success. 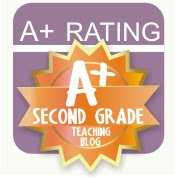 It was immediately put in the TPT newsletter and in the first week 25,000 people downloaded it. This was both good and bad for me. I realized the potential for making money with TPT was huge (good) but I also thought that this was going to be an easy way to make money with little effort (bad). I still focused on my first love, which is paper and cards, and dabbled with making TPT products. I really didn't understand the process and time involved with TPT. I made a few sales, but nothing serious over the next 3 years. Everything changed for me just over a year ago. We started job action at work. Our contract negotiations went very sour and we started work to rule. Then we started rotating strikes, and by mid-June last year we were out on a full blown strike. We were off work for 14 weeks... I am married to a teacher who was on strike as well... Money got really tight! I mean really, really, really tight. I got scared and I realized that with the way that things are going, there is a push towards privatizing public education in North America. And I realized that my entire family income is reliant on this, plus I realized that my own children are in public education and that I might have to pull them from public education and put them in private school in the future, if their needs are not being met as the system continues to fail more and more students every year, as less and less funding is put into the system. And I was feeling pretty cynical about my own job situation and wondering if I even wanted to continue working in the public school system. And I had a lot of free time when we went out on strike. So I started looking at my TPT store and researching about what I needed to do to increase sales. June is not the best month to look at your stats and try to increase them. In fact, June is one of the worst month for sales at TPT. And last June I earned NOTHING. I continued to put in hours on the computer. I spent a lot of time in the forums on TPT. My husband was very supportive. He took on childcare and made sure I had many hours to myself in my craft room, on my computer, working on TPT products, learning social media, joining facebook groups, etc. etc. etc. I gained a lot of weight from the inactivity. But I learned a lot. My sales in July were zero. I tried not to get depressed. My sales in August started increasing. I had my best day ever with the back to school sale at the start of August. But it still wasn't very much money. Then they announced the second Back To School sale in later August, and I had an even better day. Things were looking up. I finished August with over $100 in sales!!! Every month since then has been better than last August. Although I joined TPT 4 years ago, I truly thing of myself as having just finished my first year, and I really think that my rebirth was last June. I have earned enough money to take hubby and I to Vegas for the conference which was my initial goal when I started up last year. So what's next? I want to go on another job exchange. Hubby and I have discussed it for years and we are finally going to put in our application. For those of you who don't know what a job exchange is let me explain. You match up with a teacher in another country. (there is a list of specific countries that have agreed to do this) I went to New Zealand in the year 2000. I was single and had not met my hubby yet so I went by myself. When you exchange with someone you swap jobs, and you swap houses. You can also swap cars, but you don't have to. The exchange agreement allows you to work in a foreign country, but you get paid your salary and benefits back home. So what that means is that you pay taxes in your home country and earn your salary at home. You are also responsible for paying the mortgage or rent of your property back home even though you are living elsewhere. You need to have someone back home who can send you your money. You pay the utilities where you live, and so does the person you exchange with. For me it worked out fantastically. Canadian teachers have higher salaries than New Zealand teachers. And the Canadian dollar was worth more than the New Zealand dollar, so I actually found the experience very easy financially. But New Zealand pulled themselves out of the exchange program a few years ago. So if we go as a family we will have to go elsewhere, which means we will need to bring a lot of extra money. 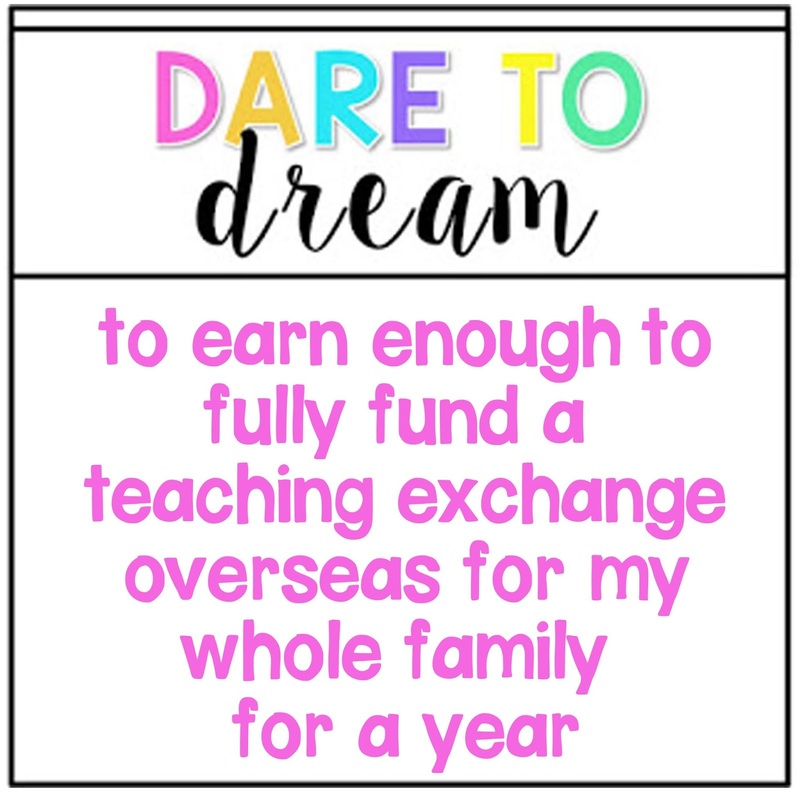 We will probably apply to Australia, but it also might be Europe as my husband is a French Immersion teacher. Plus, we will have to pay a fee to send our children to school as we will not be paying taxes in the exchange country. Plus if we go we will want to do a lot of travelling on our holidays and that takes money too. So my TPT dream is to make a good chunk of money to allow for a fantastic trip with complete financial security. My son just finished Grade 3. We want to go on exchange before he hits high school. So that gives us 4 years to do this. Thanks for stopping by today. How incredible does that sound?! Good luck! Father's Day is coming soon!